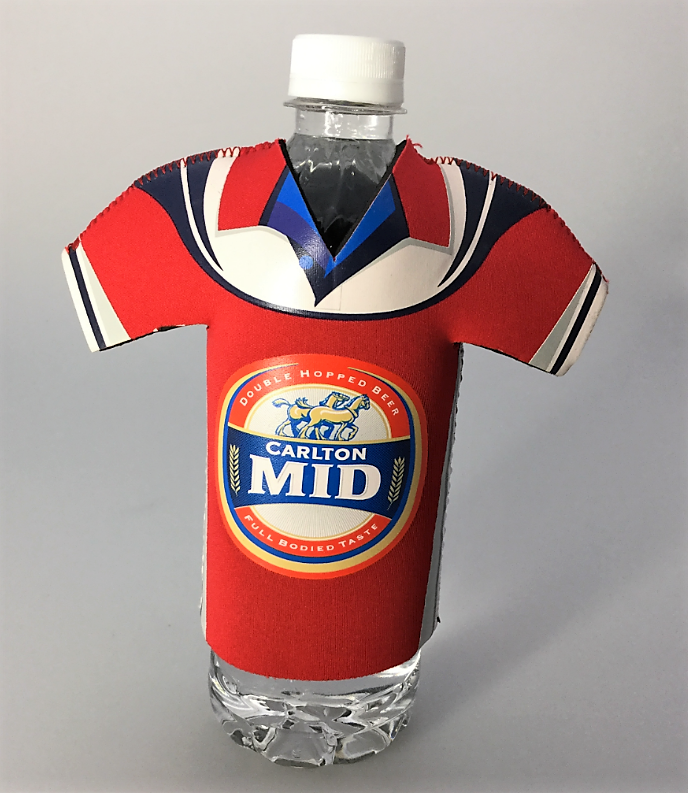 You can almost hear the cheers of diehard football fans when you see this cute little stubby cooler. Your lucky guests who will be using this amazing can cooler will have their experienced enhanced with these awesome drink coolers. 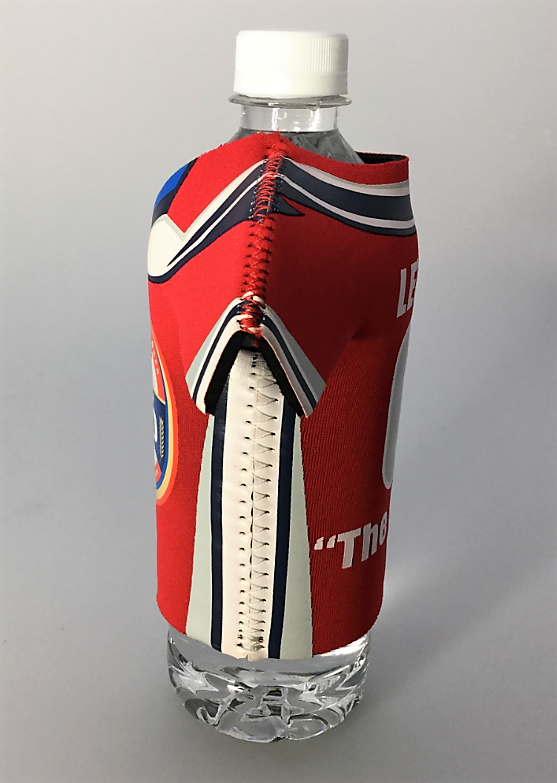 Use these drink coolers to keep your hands dry and your beverages cold. These are custom made in your choice of team colours. Further personalize these with graphics and logos and if you are up for it, even a photograph too. This cooler measures 168mm (width) x 159mm (height). When delivered they are packed flat. We use quality 3mm thick neoprene. This results in a soft and flexible comfortable fit. For additional quality the side seams are stitched to protect the item from deterioration over time. 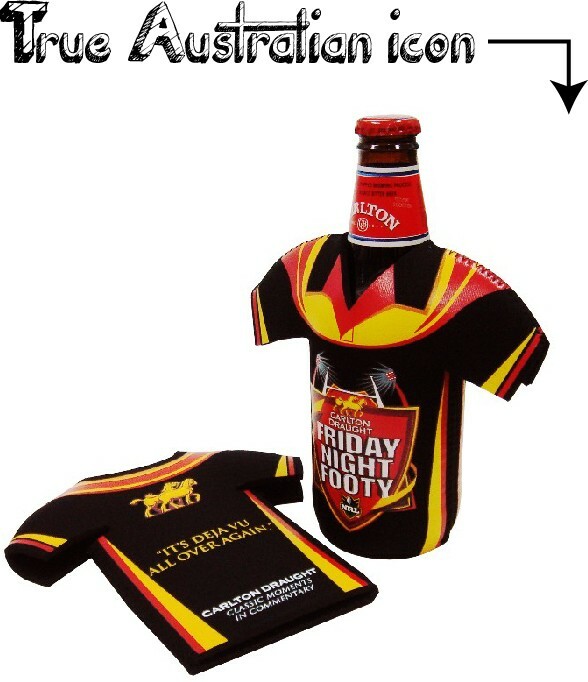 These are screen printed or sublimated to your specifications. Buy in bulk to save money. We deliver all around Australia. These come delivered in cartons that measure 50cm (L) x 52cm (W) x 50cm (H). 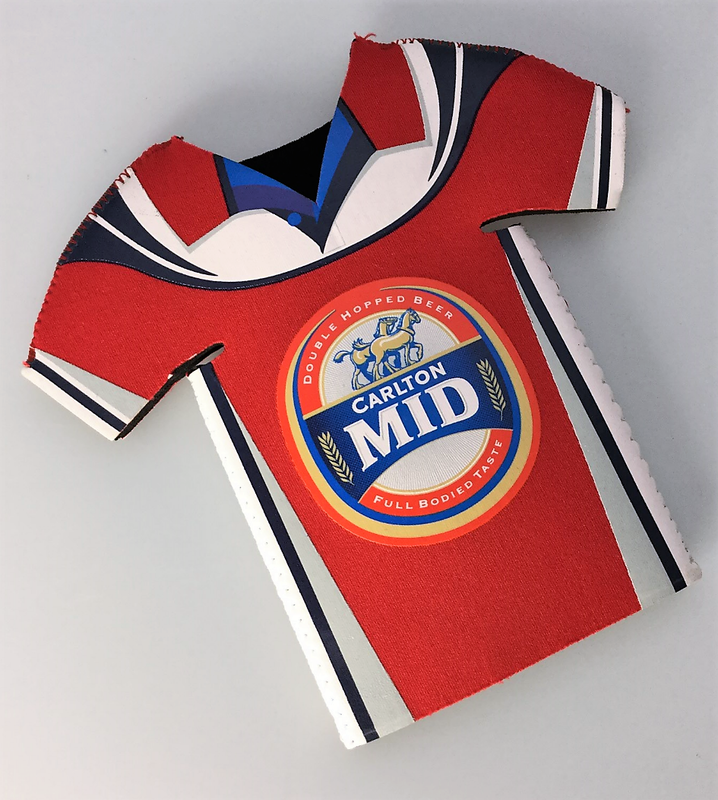 Each carton contains 300 football jersey coolers. 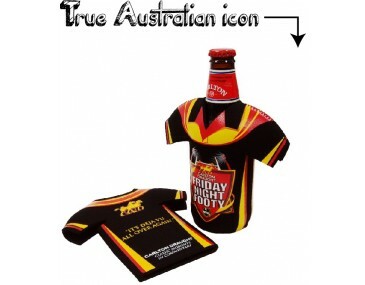 This is an Australian registered design. Patent No. 10549/2006 & No.10551/2006. 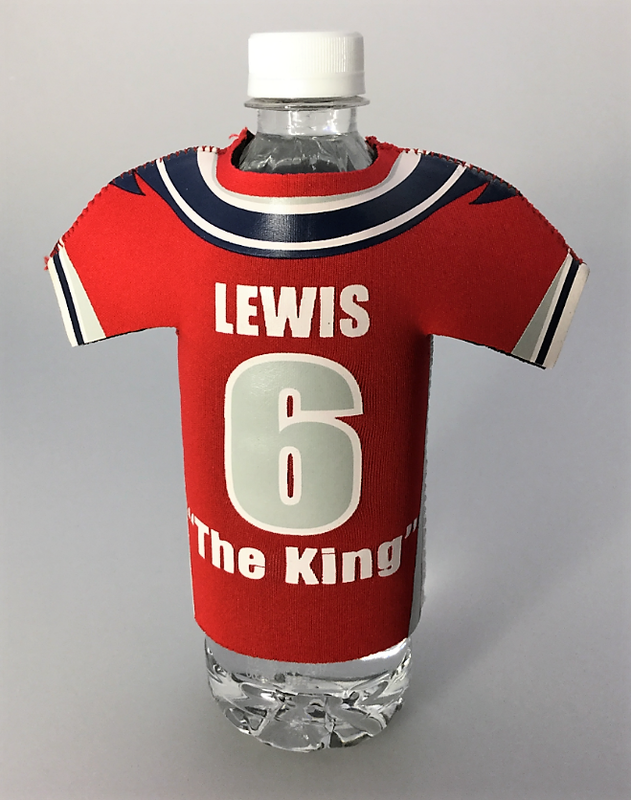 Listed price includes the option for your choice of item colour as well as full colour customisation of your graphics and logos with a full colour print. 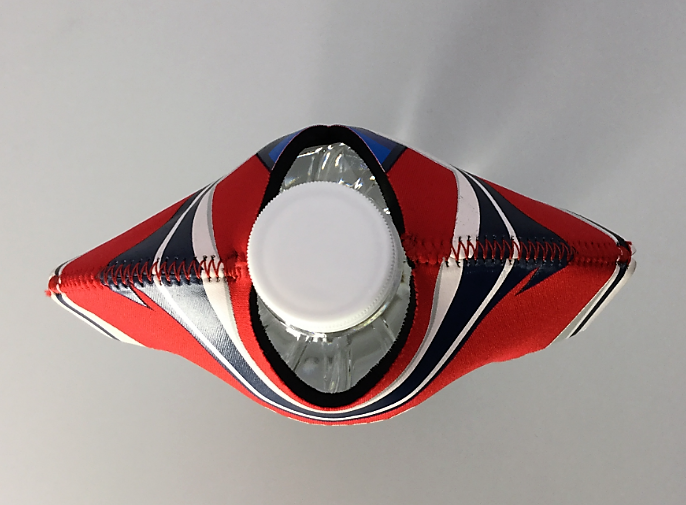 Product turnaround time is 1.5-2 weeks with an option for faster delivery if needed and they are available in bulk quantities to save you money and time. They can also be supplied unbranded. The prices do not include GST. For larger orders please inquire about our custom made indent production service.